The Kondoo Starz League round of 16 bloodshed has concluded. The race distribution for the round of 8 is 2 Protoss, 2 Terran, and 4 Zerg. Protoss suffered the biggest lost, shrinking down from 6 Protoss players in the previous round. Zerg, on the other hand, had the best success rate, 4/5, with Larva being the only Zerg unable to advance. Even more great news for Zerg fans, as round of 8 match ups guarantee a zerg will advance to the round of 8. Less than a week from now, the worlds best Brood War players will battle it out in the round of 8... Seriously! 7 of the final 8 players rank in the top 10 elo rating system. So rarely does a tournament have this level of caliber players fill out all 8 seeds. Now we get to see Bisu attempt revenge on Mind for GOMTV MSL S3, Mong fight Broodling master ZerO, and by.hero's magic against Protoss versus a top 3 Protoss player, free. Are you hyped?!? In case you are unclear, urbandictionary.com describes hype as “a cross between excitement, and anger.” Below is common dialog for someone experiencing hype. bob: (watching the KSL). Starts jumping around punching people happily and screaming. dave: dude, calm down your getting too hyped. TL.net does not approve of punching individuals. This news post will not only serve to fuel your hype, but provide you with a recap of the round of 16, a detailed battle report, recommended games, and round of 8 previews. Perhaps this group was the easiest to predict. Kwanro, while dropping out of the SSL with his fellow zerg comrades in the ro32, was the semi-finalist in SSL9 where he lost to the eventual champion Bisu 0-3. With a chance for revenge, and with The Rock and Pusan being a lower class than Bisu, it was really up to a fight to see who could come out with Bisu. TheRock showed his finest attempt in the first game, opening up the entire league with a match against Bisu on Avalon. In a two-gate versus two-gate zealot opening, the Rock actually defended nicely and went on the counter, scaring Bisu enough to slap down a shield battery. Perhaps if it was not for two zealots that were trapped in their pathing AI's behind theRock's base, he could have done serious probe damage to Bisu. But almost isn't good enough. He flopped afterwards, losing his backdoor nexus to just 4 zealots and he never recovered. Kwanro played Pusan in an incredibly fun, action-packed, wild game on Fighting Spirit. Going for mutalisks and scourge offensive, he and Pusan literally flew in circles around each other with scourge/muta/corsair aerial displays proper of a true war game. Pusan twice went on large offensives with speed zealots, almost killing Kwanro's third and then again almost breaking Kwanro's natural with the help of archons. But, in all of the craziness, Kwanro did survive and eventually had a decisive win where Pusan moved out without his high templar, losing a battle without the aid of storms. With both TheRock and Pusan being 0-1, each had to win to keep their hopes alive. Pusan mirrored Bisu's opening on Demian, both going speed shuttle harass on 1 base (even flying their shuttles by each other), but Bisu struck with his assassin's precision. Bisu finished shuttle speed exactly as he got to Pusan's base and ran straight to the probes to deal good damage, while Pusan never found and opening and eventually lost his shuttle. Without that backbone of PvP, he lost easily. On La Mancha, TheRock could sense Kwanro's bad of tricks and cautiously approached the game ready for a hydra bust. However, seeing a hydra bust and defending it are two different monsters. Perhaps underestimating Kwanro's commitment to hydras, Kwanro struck before getting the full wall down (at completion of his hydra range), and being just a hair short on the defense made theRock die. In the last games--games just for show, as Kwanro and Bisu were 2-0 and were to advance-- Kwanro continued his style that makes him ever so famous and flooded Bisu with speedlings on Circuit Breaker. TheRock and Pusan meanwhile played a pretty macro-oriented PvP on Avalon, with TheRock again showcasing his plan to get his backdoor and frontdoor expansions up to progress the game to the late stages, but again lost the backdoor to zealots from a shuttle drop. Losing out on that economy, he survived a first wave of attacks but was left crippled such that Pusan had complete control of the game. Kwanro has his role to play. While going 3-0 against his protoss group, he showed the incredible depth of style that can be summed up as "Kwanroll'd". He showcased both a ling flood and a hydra bust, as well as the "never say never" mentality of busting a Protoss with cannons and corsairs with mutalisks and scourge. He actually would be rated fairly high for pretty damn good execution of the ling/hydra busts, but the game against Pusan showed a struggling Kwanro, having to run back and forth to save his bases, rather than the all-out offensive Kwanro of old. Bisu was never worried about this group, confidently stating so in the group ceremony. Starting out with an easy 2-0, facilitated by Pusan losing his shuttle with reaver, there was nothing to *really* play for in the last match. Bisu is afraid of no one in this league, so a second seed to come out doesn't really matter. But against Kwanro, a man born out of the most aggressive cesspools of spawning pools and hydra dens in the korean servers, he didn't block a ling runby and got decimated. Pusan did not impress. It's as simple as that. He tried to take perhaps a sneakier route with his shuttle against Bisu (a longer route when coming into the mineral line), and just lost his shuttle while taking damage from Bisu's. Against Kwanro, the most entertaining game of the group, he couldn't stay collected against a pretty late mutalisk attack, scrambling over and over with his corsairs trying to dodge scourge and losing his army while his high templar lagged behind. Only TheRock can be TheRock. With no Terran to two-base carrier against, he had to play a more standard style. Playing both his PvPs on the map Avalon, he actually impressed in his first match against Bisu defending a two-gate and going on the counter-aggression, and was holding his own against Pusan. But, both times he lost his backdoor nexus to a zealot drop from a shuttle, and against Kwanro he couldn't stop the hydra bust despite being fairly proactive in preparing for it. Whereas group A was a bit predictable in who would make it out and how, group B flung the gates wide open with momentum swings in-game and with a fairly evenly matched group going into the set. Killer, a former SSL champion and always in the running for the #1 sospa zerg, a Mind that started to break out on the amateur scene with dominance in the ssl, 41tv, and the KSL, with the passionate hardworking Larva and the confident Movie (or so he stated in his preview interview). If this group taught us anything, it's that you have to be vigilant about counter-attacks when your army moves out. The games did not disappoint. In game 1 on Fighting Spirit, Mind seemed to have a pretty solid standard gameplay, and killed Larva's third to secure a strong lead. Larva, making something out of nothing, made a massive counter attack of lurker ling and mutalisk when Mind moved out--a base trade ensued, with Larva only coming up 2 scourge short to snipe Mind's last vessel after killing all of Mind's base and mining. Killer vs Movie on Circuit Breaker saw a +1 zealot archon assault onto Killer's natural, followed up by dragoons out of 5 gates. Continuing with the theme of this group, Killer forced a wonky situation as he counter-attacked with mutalisks and zerglings to kill Movie's economy while just barely holding on with sunkens and zerglings at home, flying his +1 carapace mutas back from the probe lines to bolster his defense right over the edge. The close games requiring the fullest attention to clutch out continued in the second day, as Mind continued his break out into his current exemplary form on La Mancha against Movie. From start to finish, Mind played an intelligent and strong macro play, securing his 3 bases and squeezing down onto the Protoss. Movie, while losing his expansions one by one, clawed his way probably unreasonably back to a close finish, utilizing recalls and stasis to almost eliminate all of Mind's money. But, with no army and completely dead himself, Movie had to tap out. The ZvZ of the group too proved a game of counters and full situational awareness. With the earlier spire, Killer was forced to keep his mutalisks at home as Larva tried again and again to run lings in; a spore set up the defense at home for Larva, and Killer weaved in and out of the range to get some essential drone kills. With the inferior mutalisk flock and bleeding drones slowly, Larva swung down to Killer's base only to see an empty base: Killer burrowed his drones from view, securing his victory. With Mind and Killer both 2-0 in the group and advancing, the last games disappointed a little. Mind and Killer played a fairly standard TvZ on Demian, with Mind going for the sSak-esque fast siege bust rather than a bit more "standard" 3 tank 1 vessel move out. Killer was never successful with his mutalisks to snipe a tank, and waiting too long to use his lurkers to try to break the siege line shelling his natural, essentially rolled over and died. Movie showed lackluster play in the final game against Larva on Fighting Spirit, being turned back on his zealot aggression by lurkers, having his observer sniped, and losing templars at his natural repeatedly with zergling counters. Larva macroed up safely and soon began much larger waves of zergling aggression, easily winning the game from there. Mind just started to get hot across the 3 leagues with his display in the KSL. After a bit of a rougher ending to his games vs Larva and Movie than one would hope, he did play fairly standard and dominant. Mind will face Bisu in the ro8, a rematch of the MSL that brought Mind his championship and a really strong chance to repeat history with a defeat of Bisu. Only time will tell. Killer did exactly what the others of the group failed to do: be prepared for the counter. He had an excellent burrow in ZvZ, and against Movie left just enough at home to defend while using lings and mutalisks to runby and win the game. He was prepared against Mind, morphing enough lurkers to probably take the fight, but he was too timid and ended up losing about half of his lurkers to tank fire before trying to bust out. But, advancing is advancing, and perhaps Killer can bring the currently failing Zerg race even all the way to the finals, on the side of a bracket with 3 zergs and 1 Terran in the ro8. One thing's for sure, he held well against Larva's zerglings, which will be a needed skill against Kwanro. Probably the face of sospa along with Mong, he didn't quite perform to his capabilities in offline play. He had a strong ZvZ against Killer (another statistical weakness of his), but his ZvT woes of the past still seem to get the best of him, with a woeful 35% over 110 games. Movie really did not impress. His last game was very poor, but his first two games had it's moments. He almost broke killer, and against Mind showed a resilience that is pretty hard for a dieing Protoss to pull off. But at the end of the day, Movie seems to not be practising as much as the other progamers, or at the very least, is showing too many signs of on-par or sub-par play. The kind of play that just doesn't cut it at these later stages. On paper, this group should have delivered a lot. While Jaehoon has been controversial recently amidst stream cheating, ZerO and by.hero hoped to bring back the flair of the currently struggling sospa zergs, and HiyA being one of the first pros to switch to the Afreecan streamer lifestyle. With all of them having ups and downs in the sospa scene, this group was open for the taking. However, unlike the other groups, the games started out more lackluster before reaching their best at the end. In the first game on the new map Devian, Hiya hoped to go for an early sunken bust on hero but was pushed away by 4 sunkens. Afterwards, he sort of just died to normal muta micro, not putting up turrets in time and with his army out between his own base and hero's. Jaehoon perhaps showed the most diversity in this group, despite eventually falling out 0-3. In his first game against Zero on Circuit Breaker, he initially went for a large bust with a 4 gateway goon zealot attack, completely skipping stargate. Although keeping his dragoons alive with some nice micro, he was unable to bust the natural completely, and lost probes to counter-attacking mutalisks. A 2 stargate followup did little as Jaehoon was left without templar, attempting to break down the sunken and lurker defense of Zero with only base units. Ling runbys and macro play led Zero to victory. The second set of games began with Jaehoon attempting a carrier build on Avalon against Hiya. Despite spotting dropship play from Hiya, Jaehoon was slow to react, and lost many probes to Hiya's harassment. With diligent scanning and pumping goliaths, Hiya easily kept Jaehoon at bay, and Jaehoon ran out of the economic support to fund his interceptors or any new carriers. The ZvZ of this group showcased the balance between ground and air as the one-basing Zero had to concoct just the right mixture of lings and mutalisks to break the spore-colony natural of hero after initially being unable to make progress with lings alone. Zero did exactly that, getting the ground advantage and running zerglings into hero's base with enough mutas hovering over the ramp to prevent any lings in the natural from coming up to the main. Hero's only hope was a small ling counter attack that was easily defended. In perhaps the best game of the tournament, Zero vs Hiya faced off on La Mancha. With large medic marine forces off of a +1 weapons build, Zero was forced to sunken up and use a large midgame army of zerglings, lurkers, and muta to get the map presence to take a third base. Teching to have off of only 2 base, Zero was on the backfoot relying on a series of swarms and nyduses to establish his fourth and fifth bases. Hiya pulled of the transition to mech without a hitch, but with the use of overlord drops and circumventing mine fields with nydus play, Zero was able to have the left side of the map clear and free to roam with his zerglings and ultralisks before Hiya established global map presence and mines throughout. Zero prevented Hiya from safely taking his third and fourth bases on the north side of the map, and won the game. Contrastingly, in perhaps one of the worst games of the tournament, Jaehoon planned a 1 base tech to reavers to expand and harass, perhaps expecting hero to stick with hydras forced out by the early stargate. Hero instead had 2 base muta, and just won the game instantly against no anti-air. Zero played very on-the-edge and thrived. He faced a strong attack from Jaehoon but saved enough to counter with mutalisks, had an excellent ZvZ, and had a very clean ZvT against Hiya. Nothing hero did was really that great of play; Hiya and Jaehoon, for whatever reason, just died to mutalisks essentially. Not to discredit hero in any way, but nothing in the group exhibited great play. Still, a win is a win, and hero has no shortage of making finals, having made both the SSL9 finals and the inaugural season of the lesser 41TV starleague. It was an odd bag for Hiya. He played pretty terrible in the first TvZ against hero but played very well in a captivaing game (that he lost) against Zero. In both the SSL and KSL, Hiya has responded to fast carriers very fluidly and easily, shutting it down before the carriers amass to anything worrisome. However, without making it through to the next round, we'll have to see what is the next evolution for the Hollywood Fishiking. Jaehoon actually came prepared with some unusual strategies. Each game he tried someone probably unexpected for the maps and matchup: a 4 gate bust, fast carriers, and shuttle reaver play. But all of those got shut down pretty easily, so his opponents were clearly not taken by surprise by Jaehoon. Perhaps immediately pinned as the group of death, it also was the group of Terrans. An in-form free, known for displaying a somewhat more unique PvT on the Afreeca scene by focusing on unit control and high templars rather than arbiters or carriers, thoroughly impressed with a strong 3-0 in the group and dominating the one matchup he had to practice. For the traditional Terran versus Terran enthusiast--a methodical battle of wits--the mirror matchups of this group showcased a different flavor of TvT altogether: mind games, on-the-fly responses, proxies and tricks. Mong would advance 2-1, showcasing that he knows exactly how to deal with a fast expansion and the importance of early-game unit pressures and contain. The opening day of the group delivered on the excitement surrounding the new maps and professional-quality offline leagues. On Fighting Spirit, Free used a proxy robotics for reaver harass, never over-committing and snagging scv's at the main, natural, and even Mong's third. A very sharp zealot-leg speed timing broke the healthy 3-base Mong right as he was on the cusp of becoming a rolling death machine of Terran metal. On the new map Demian, Sea attempted a hidden and proxied starport to throw a cog into PianO's typical tuned-harassment of dropships and speed vultures, but with a 2 port of his own, PianO took control of the air and forced goliaths from Sea. Expecting this, Piano stopped wraith production and switched to tanks, using marines to buffer from Sea's wraiths and sieged up the helpless Sea. The turning point of the group occurred day 2, with Free and Sea taking a long macro game on Circuit Breaker. Free poked and prodded as Sea did the prototypical Terran plan of defending the narrow bridges and sliding down the map into an easy third and fourth base. Free's small squads of dragoons with shuttle/zealot play (with recall even later) kept Sea at home and not out on the map with speed vultures to deny Free's own expansions. When Sea finally made it across the map to try to break the 6-base protoss, Free held on with stasis and storms and a long extended battle for position eventually let Free's reinforcements emerge victorious over Sea's trickle across the map. The quality of games perhaps deteriorated a bit after that. Mong vs Piano on Avalon showed a rapid response to a 14 command center, with Mong establishing sieged tanks outside of Piano's base, sniping the Piano's first tank and leaving him helpless. Sea similarly tried a 14cc against Mong on La Mancha, and Mong performed almost the same response but utilized La Mancha's natural architecture to deny Sea mining and establish a more strict contain rather than go for the kill. With Piano needing a win to force tiebreakers, he lived up to his unfortunate depiction as a Terran who is bad in the TvP matchup, floundering with speed vultures after thinking Free was fully committed to a proxy robotics. Instead, Free cancelled the building and built observers at home, blocked his ramp, and defended easily. Going 2 factories and 1 starport on 1 base, Piano never did the economic damage he needed. What is most marked about Free's run through the group was his ability to control the game flow. It is perhaps a bit of an ill-defined term, but Free always prepared the "next step" in the game. Against Mong, he utilized a proxy robo to harass Mong while also spreading Mong's defense thin while trying to establish a third; a flood of speed zealots broke Mong's line. Against Sea, his continued assaults let him easily and rapidly take his half of the map, allowing him to hold off Sea's needed push across the map. And against Piano, the forced response to seeing a proxy robo put Piano well behind when Free cancelled and focused on stopping harassment at home. Typically, the Terran hopes to force the Protoss into ill-conceived attacks and force the Protoss to be choked out by tanks, but Free decisively cut through each Terran using a myriad of techniques. Mong displayed excellent preparedness in all of his games. Despite losing to Free, he was broken right before the tipping point: he had double armories, a fast third, and was just about to get enough forces to hold a Protoss break. He had his plan and he executed well. But what showed his preparedness better was his two wins in the group. Scouting 14cc, an immediate 2 factory tailored build, with siege first followed with goliaths and proper vision control, made it almost seem silly to even attempt a 14cc against Mong. Mong shut down PianO and Sea's attempts faster than he could chug Pocari Sweat. Recently, Piano has shown very flustered play in TvP and TvT. When his plan goes well, Piano's multipronged harass oriented play dominates his opponent. When thrown for a loop--such as scouting a proxy robotics, or being punished for a fast command center by having 3 tanks show up at his door--he falls apart or plays into his opponent's hand. That said, he did a deadly timing in his first match, controlling both the skies and the ground with a 2-port wraith with siege-tank followup (to shut down goliath response), and for that he averages out. Sea didn't display any glaring mistakes, but he didn't have the finesse to push him through. His attempts at being cheeky--with a hidden starport, and a 14cc--were stopped with a mild whimper at best. Perhaps that is simply the story of Sea when placed into a group of death (being in the most famous group in ABC Mart MSL, falling out 0-2 to a group stacked with Bisu, Jaedong, and Flash). Without participating in SSL10, we'll have to see what the future holds for Sea. Hiya was facing his darkest hour in KSL: Lose the current match and go home empty handed, devoid of all honor as one of the best sospa terrans and a master of TvZ. Win the game and live to fight another day. Certainly, the second option is the one Hiya wanted but the question remains, did he get the desired outcome? On La Mancha, Hiya spawned in the top right as the orange Terran while ZerO spawned in the bottom right as the white Zerg. Zero opened with the standard hatchery into pool build while Hiya thought he was Flash and went for the greediest opening known to man, cc first. A pesky scouting drone scouted this and decided to harass the crap out of his building SCV promoting several SCVs to be pulled and loss of mining time. After his pool has finished, ZerO tried to put on some pressure however Hiya being the boss that he is, scouted this and in record time managed to erect a bunker that repelled the zerglings away. Surprisingly, no SCVs that were recruited for defense were lost. The game entered a lull as both players added more buildings and teched up opting for the macro game. Hiya added 2 rax, an academy then 2 more rax while ZerO added a third hatchery and a lair. To pay ZerO back for the early harass, Hiya decided to show his godly MnM control moving out with a force that scared ZerO enough to make several sunkens. Though the force never reached ZerO's base due to his zergling delaying tactics, Hiya revealed a second army that he was going to combine with the first. Realizing the potential danger, warning signs flashed around in ZerO's head. With utmost speed, ZerO delayed the advancement with his mutalisks while going up to 7 sunkens! He got a hydra den for lurkers and a queen's nest soon after while still remaining on two bases. At this point, the game started to heat up a bit, it being the desert and past noon. With his large fearsome force, Hiya went base hunting looking for ZerO's third however all he found was death. A great timing attack by ZerO and a control blunder from Hiya saw him lose close to a control groups of units for no damage causing him to retreat. The game enter another lull as Hiya gathered a huge army with tanks and vessel support. Realizing that he's not ready for the attack, ZerO constantly delayed the advance while double expanding and getting defilers out. As Hiya approached his expansion, he made another blunder getting his army split and his tanks caught out of position on the high ground (gif). The mutalisks and lurkers that were close by easily cleaned up this partial army trapping the remainder at the 6 o'clock base. Soon after, Hiya made the mech transition and grabbed a third after failing to take down ZerO's fourth expansion who saved it with some clutch dark swarms. He kept on trying to apply pressure to ZerO's fourth but ZerO's timing was too good and he always managed to save it (gif). Hiya made the strategic decision to match ZerO's base count expanding yet again to grab a fourth while simultaneously attacking ZerO's fifth by a small vulture+tank army that was strong enough to take it down. This gave Hiya the advantage, an equal base count. After cleaning up this small army by dropping ultras on them, ZerO made the strategic decision to fling everything that he's got at Hiya. With 10+ ultras, some cracklings, some lurkers and defilers for support, ZerO attacked Hiya's fourth easily taking it down before Hiya was able to create the great fortress of defense. However, his followup attack on Hiya's third caused no damage other than taking down several mech units and causing an SCV pull. In hindsight, it looked like Hiya was not in the worst spot however he was starved for resources to the point where he was not fully utilizing all his factories. A big win for ZerO who had the superior economy and base count at this point. Regardless, Hiya was adamant on winning this game. Moving out with most of his mech army, he established a strong position outside ZerO's natural using mines to protect his tanks from the back and causing ZerO to retreat. As the mech force got closer to ZerO's expansion, another clutch dark swarm on top of the tanks and several OL drops were more than enough to cause Hiya to retreat and refocus his efforts. Hiya decided to redirect his attention to ZerO's fourth and fifth bases realizing that they are his main source of his economy. This was make or break for Hiya seeing as his economy was greatly lagging behind ZerO's who was flourishing with time. Realizing Hiya's intentions, ZerO managed to transport his whole army through the nydus canal. He laid down some dark swarms driving the attack force away but Hiya would not just step back. Regrouping his remaining army with reinforcements from his main, Hiya went for a second all out attack though the outcome was just, if not more tragic since ZerO had a better engagement position. With his army annihilated and only one mining base left against the three of ZerO, Hiya was forced to leave the game. Eliminated by ZerO, this will certainly make their next meeting all the more interesting! The best game of the tournament. Everything you could ask for a TvZ happens here. Watch now! This is the hoon at his greatest. If you love the stove, then you'll love this game! Fine, I'll admit it! This vod is here because 4 recommended vods looks better then 3. Still, worlds best PvTer vs Worst Pro TvPer provides good entertainment. In this mirror ZvZ match-up, Killer, who has been somewhat inactive of late, faces the even more dormant Kwanro. Kwanro's dormancy has resulted in his 22nd place Elo ranking while Killer's inactivity has prompted him to slide from first to fourth, then back to second in recent months. 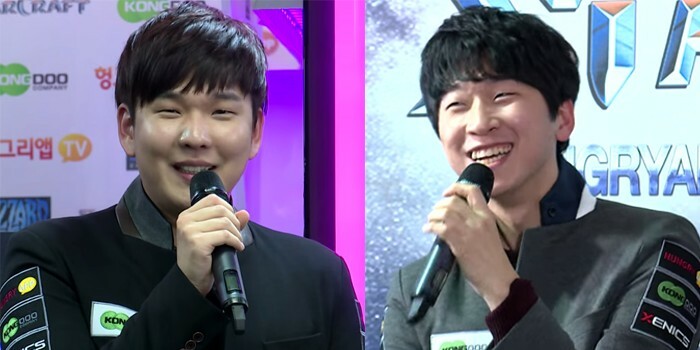 Although both competitors were eliminated in the concurrently held SSL10 by Terran opponents, Killer by PianO and Kwanro by Last, both showed they were in competent form with their performances -- Killer, in particularly, dueled PianO valiantly until the late game on Sin Peaks. In the KSL round of 16, both faced more favorable match-ups and opponents, moreso Kwanro, where he was grouped with three Protoss, two of whom, Rock and Pusan, were very much past their primes. In addition, Kwanro took advantage of a zergling run-by to surprise and "Kwanroll" Bisu to advance from the group without a defeat. Killer, similarly, performed as expected in his group with a 2-1 record with a contentious win over (P)Movie before a convincing victory over Larva. In this round of 8 match-up, both Zergs will duel in what is statistically their strongest race match-up, the ZvZ. Killer has been largely been dominant in ZvZ in the post-KeSPA era, with his air unit control and economic management largely unrivaled. Kwanro has participated in very few league competitions of late and has lost to Killer in their only two head-to-head games in 2014. Kwanro has not faced a ZvZ in the KSL or SSL10. In a best-of-one, a ZvZ would be moreso a toss-up, but in a best-of-three such as this, Killer undoubtedly has the advantage. With maps largely a non-factor in this match-up, expect Killer to take the series. 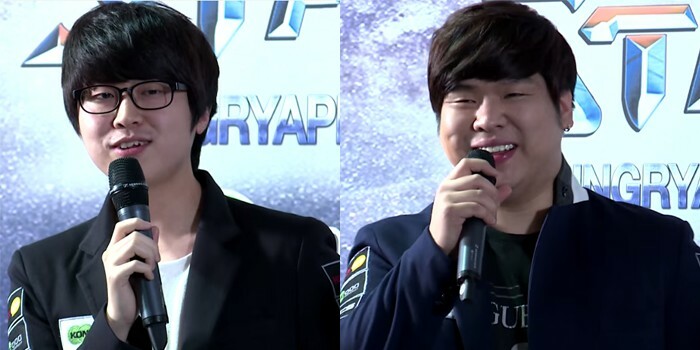 In the most anticipated series of the round of 8, two Starleague champions face off. Occupying the first and third spots in the Elo rankings, this PvT match-up beckons the title of a match-up of the titans. Viewers may have been hoping this match-up had been delayed until the finals, but Bisu's loss to Kwanro in the round of 16 spoiled those hopes. While Bisu has been largely inactive in competitive leagues since SSL9, the strongest active Protoss has demonstrated his strength during show matches on his Afreeca, stream. In the KSL thus far, Bisu has shown strong PvP play against Rock and Pusan, with this match-up against Mind being his first against a Terran. Compared to his strong PvZ play, PvT has historically been Bisu's weakest match-up, particularly against top Terran such as sSak and Sea, who are among his most challenging competitors. In contrast to Bisu's dynamic PvZ play, his PvT is often less nuanced as he largely depends on overwhelming the Terran opponent with ground troops and an economic advantage, relying on the occasional early game reaver or mid/late-game arbiter recall. It would also not be surprising to see Bisu resorting to cheese tactics, be it proxy gateways or robotic facilities in the early game, although these may be less likely given the short series (Bo3) format. Mind had built an impressive win streak, having gone undefeated in the three concurrent leagues in which he is competing, the KSL, SSL10, and 41 Starleague Season 3, until encountering free in SSL10. These most recent TvP games have seen Mind being aggressive in the early/mid-game with vulture drops and offensive bunkers before settling in for conservative grind-it-out strategies. This has proved effective against Movie in the KSL and JangBi in the SSL10, until free time and time again relied on scouting and a strong defense to keep Mind off-kilter. As a result, against free, Mind's early aggression were frequently neither tactically nor economically, effective. In this round of 8 match-up, Bisu and Mind will face off on the largely unfamiliar Avalon and Demian, so it remains to be seen how large of a role map selection will play. Not until a potential third game will the two meet on the familiar La Mancha, which has historically subtly favored Protoss in the PvT match-up. 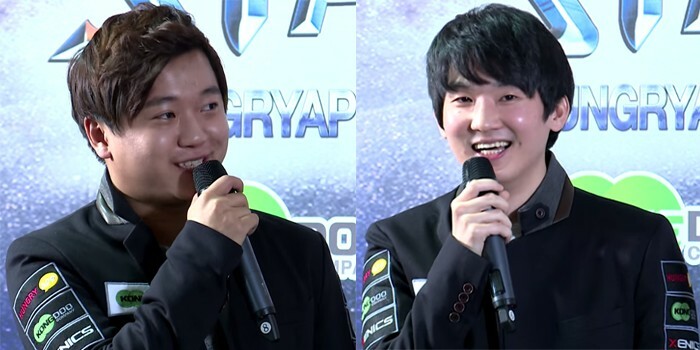 The two have only battled a handful of times in recent league competition, with Bisu winning 2-0 in a recent invitational. Although Bisu has continued to busily stream over the past few weeks, it is unknown how much Bisu has been practicing off-screen. Mind, meanwhile, has been streaming very sparingly in recent weeks as he has instead elected to practice diligently off-screen for each of his SSL10 matches, and, presumably, for the KSL. With the one game per week format, Mind will be well-prepared and has shown his ability to adapt and adjust, even in his consecutive defeats to free. With few PvT league games under his belt, Bisu will have his hands full. Anticipate a victory from Mind. Mong enters this match-up ranked fourth on the Elo, while ZerO is ranked ninth, thus representing among the strongest and most popular (Afreeca streaming) of their respective races. In the three concurrent leagues (KSL, SSL10, and 41 Season 3), Mong has built an impressive 9-2 record, including four TvZ victories without a loss. These included a SSL10 win over Hyuk, with Mong exhibiting some crafty M&M micro control. In the 41 Starleague, Mong was even more impressive in defeating HoGiL in a Bo3 and hero in a Bo1 to advance to that league's round of 16. Mong has remained patiently aggressive throughout, following a paradigm of: M&M push leading to supplementing with tanks, then irradiate and a seamless mech switch. 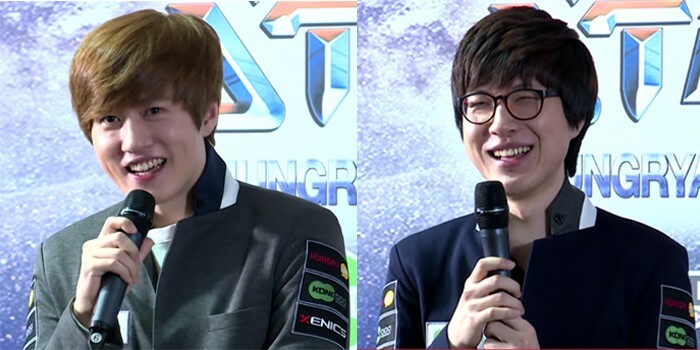 ZerO, meanwhile, was less impressive in being eliminated in straight games in SSL10 in ZvP and ZvZ match-ups. In the KSL, however, ZerO has advanced without a defeat, including a ZvT against HiyA where ZerO exploited the strong ultra/ling and defiler combination while building a large economic advantage. A few days later, ZerO also defeated another Terran powerhouse in sSak at the 41 Starleague by responding to wraiths and early mech with a fast hydralisk push. Nonetheless, the ZvT has been ZerO's weakest match-up, statistically, in both the KeSPA and post-KeSPA/SOSPA eras, while, conversely, the TvZ match-up is Mong's strongest. Head-to-head, Mong has only met ZerO twice in recent league play, defeating the Zerg both times. Looking at the map selection, Fighting Spirit and Circuit Breaker both somewhat favor the Terran in the TvZ, further accentuating Mong's advantage. Furthermore, Mong has professed to studiously practicing for his SSL10, and presumably, KSL, games, while ZerO's level of preparation is more unknown. Expect Mong to take the victory. In the final pairing, hero faces free in the Zerg player's strongest match-up, with free having recently risen to eighth and hero at tenth on the Elo. A strong progamer at his peak in 2009-2010 and one of the Six Dragons, free has largely endured with mediocrity in the post-KeSPA era. Not quite advancing into the medal rounds in any competitive leagues over the past year, free has been surprising some viewers with solid play that has propelled him into the second rounds of both the KSL and SSL10. In building a 11-4 record in these leagues, he has not yet encountered a Zerg opponent, but has both endured (proxy gateway against Mind and robotics facilities against Mong) and dealt plenty of cheese play (proxy gateways by Tyson and factory by PianO). In the process, free maintained a steady hand and utilized strong defense, scouting, and reaver play. free's recent PvZ league play, however, has seen him being eliminated by three consecutive Zerg: Modesty, Larva, and hero. hero, meanwhile, has demonstrated his ZvP form with consecutive victories in the KSL over Jaehoon, SSL10 over Snow, GuemChi and Zeus, and 41 Starleague over Pusan, before being defeated by Sea.KH to amassing a 6-1 record against Protoss opponents. Although vulnerable in the ZvT and ZvZ, hero has maintained his ZvP specialist title by overwhelming with his trademark hydralisk busts. Notably, hero has also mixed things up by surprising his recent Protoss opponents (Jaehoon and Snow) with early mutalisk and muta/ling strategies. It wasn't until the dynamic play of Sea.KH and a resource-limited map in Blue Storm that hero faced his only recent ZvP defeat. Head-to-head, hero has a 2-1 record against free in a recent Bo3 in competitive league play. Significantly, both competitors have been practicing and studying up, which fans will appreciate, so it will be exciting to see how well-prepared the two will be. With their first two games on the unfamiliar Avalon and Demian, it's difficult to predict a distinct advantage, but a potentially deciding third game would be played on the Zerg-favored Circuit Breaker, further extending hero's advantage. hero's ZvP game appears to in solid form of late when tested by Snow, while free may likely be ensnared in PvT mode, with a Bo3 just too much for free to overcome. Games begin Saturday, Jan 31 10:00am GMT (GMT+00:00)!!! Such good matchups in Ro8! Looking forward to Bisu vs Mind. Ro8 matches look really solid and we don't get only TvP so horray for racial diversity. Things will be really scary tomorrow during our casts! Lots of shouting. The work that goes into these Brood War recaps really is incredible! Hopefully I can at least catch some of the games live for the Ro8! uhm if EVEN BD assumes Mind is gonna win, i must weigh this argument more. I still believe. HANA, DUL, SET, KIM TAEK YONG FIGHTING! Awesome writeup, thanks a lot for this ! No! Mind must tumble lower in the elopement ranks! Bisu for lyfe! Free will prove the doubters wrong. Top 3 PvZ (during KeSPA era at least) HWAITING!!! Nobody, we all know 2-0 ez pz for Bisu.